Joey Galloway of the Tampa Bay Buccaneers. Veteran wide receivers Joey Galloway and Bobby Wade have signed free-agent contracts with the Washington Redskins. 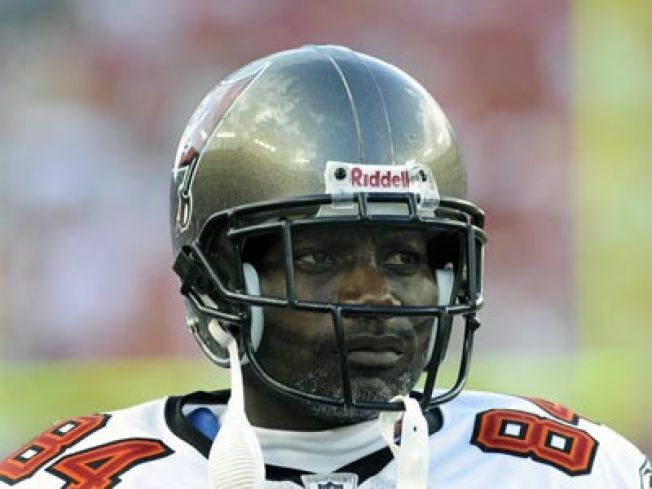 The 38-year-old Galloway has 689 catches for 10,777 yards and 77 touchdowns in 15 NFL seasons with Seattle, Dallas, Tampa Bay and New England. But he has only 20 catches over the past two seasons combined, including seven in three games with the Patriots last year. Wade has played seven NFL seasons for four teams, catching 244 passes for 2,858 yards and nine TDs, while also returning punts and kickoffs. The 29-year-old Wade played for Kansas City last season, catching 36 passes for 367 yards and two scores. The Redskins also signed tight end Logan Paulsen, of UCLA, and running back Keiland Williams, of LSU, as college free agents.